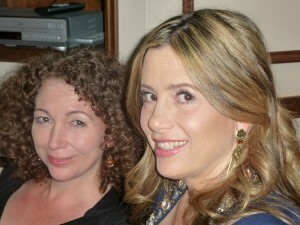 About six months ago I interviewed Mira Sorvino for a film she starred in called Union Square. I’ve been a fan of hers since she won the Oscar for her role in Woody Allen’s Mighty Aphrodite back in 1995. Academy Award winner Mira Sorvino with writer/director of Union Square Nancy Savoca at the press conference for Union Square! As a matter of fact, I wrote a film script with her in mind for the lead. It’s a romantic comedy called “Baby and Max” where she goes from being a tough biker’s girlfriend to falling for a nebbishy stand-up comic, and I sent it to her reps for review where it is being looked at right now. I know her Dad, Paul Sorvino for many years. As a matter of fact as silly as it sounds, back in 1990, when he played Big Paulie in “Goodfellas” for whatever reason I was supposed to call him the same day I saw the film. All I remember is that when I left the theatre, his performance had been so powerful that I was literally afraid to call him. I finally got up the nerve to call him and when I told him how I felt, he laughingly told me I was a “schmuck”! 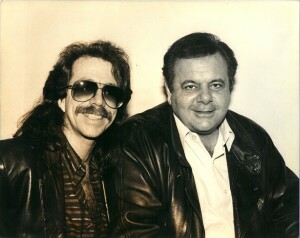 Jeffrey Gurian of Comedy Matters TV with award-winning actor Paul Sorvino, when he played Big Paulie in Goodfellas, back in the day at Columbus Cafe! 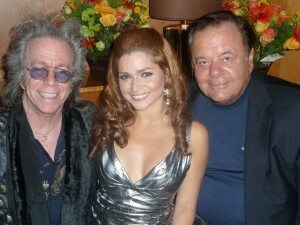 Jeffrey Gurian of Comedy Matters TV with Paul Sorvino in more modern times at the birthday party of socialite/philanthropist Karen Koenigsberg, in the penthouse of The Dream Hotel! 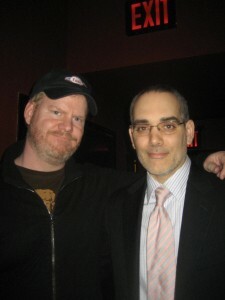 Jim Gaffigan is a HUGE talent and I’ve been a fan and friend for many years. Jim gets offered one project after the next. I remember being at what I think was his first sit-com called “Welcome To New York”, back in 2000, in which he starred with Christine Baranski. I went to a taping in Astoria and I remember him being great in it, as he’s been consistently every time I’ve seen him perform. 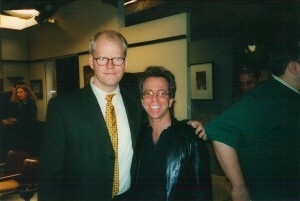 Jeffrey Gurian of Comedy Matters TV with Jim Gaffigan on the set of “Welcome To New York” back in 2000! 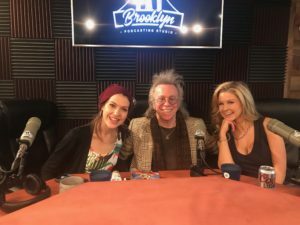 He occasionally headlines Gotham Comedy Club and I make sure to catch him whenever possible and he’s also very gracious about making appearances on shows for up and coming comics who ask him to do guest spots. Jim is very accommodating that way. Jim Gaffigan with Gotham Comedy Club owner Chris Mazzilli! 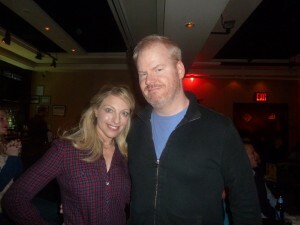 Jim Gaffigan at Gotham Comedy Club after doing a guest spot for “up and comer” comic/producer Alyse Kenny! Now CBS has partnered him up with Peter Tolan known for many projects but especially for co-creating hit shows like ABC’s “The Job” and FX’s “Rescue Me”, both starring Denis Leary. 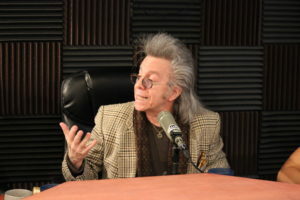 In Jim’s new show, he will be playing a guy with five kids, with a wife played by Mira Sorvino named Jeannie, all true, and taken from his own life. 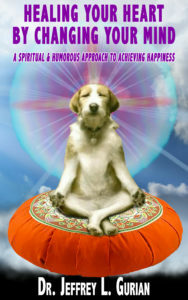 Kind of like what Ray Romano did with “Everybody Loves Raymond.” I wish Jim the kind of success that Raymond enjoyed! He’s worked very hard and truly deserves it! 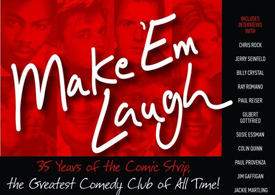 He’s also featured in my new book called “Make ‘Em Laugh” about the 35 year history of the legendary comedy club “The Comic Strip”, in which he gave me a funny, heart-warming and honest account of his early days. He talked about experiencing crippling stage fright for years, and said that for the first few years, his only credit was that Dave Attell told him he was funny! 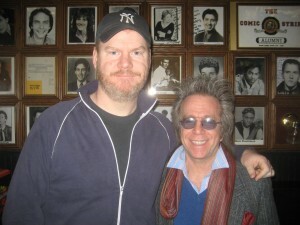 Jeffrey Gurian of Comedy Matters TV with Jim Gaffigan at The Comic Strip after Jim’s interview for Jeffrey’s book “Make ‘Em Laugh”, with a great introduction from Chris Rock! Good luck Jim! We’re pulling for you! I’ve met lots and lots of stars in my day, but none more exciting, and adorable than Aubrey Anderson-Emmons, who got on my lap almost as soon as I met her! Not because I’m that good with women, but because she’s only 4 years old! 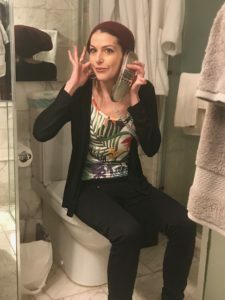 I have the pleasure of being good friends with her Dad, Kent Emmons who started All Comedy Radio, and headed up National Lampoon Radio for a while, and is now heavy into creating infomercials with his company Kent Direct! 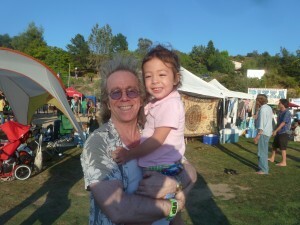 Jeffrey Gurian holding Aubrey Anderson-Emmons, the new star of ABC's Modern Family, along with Ed O'Neill and Sofia Vergara! 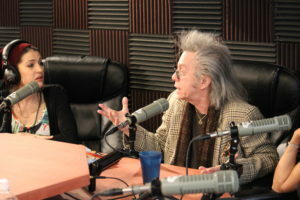 When I told Kent I was coming out to LA last month to perform and also to interview Billy Crystal and Russell Peters, he insisted that I stay at his home in Westlake Village, and I’m so glad I did. Kent is the kind of host that makes you feel at home right away. And he and his assistant Sarah made sure I felt like part of the family for my whole stay! 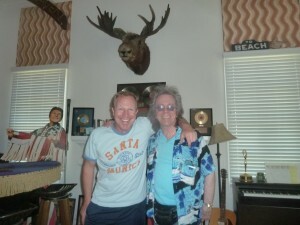 Jeffrey Gurian and Kent Emmons in Kent's new home in Westlake Village! As part of the family, I got to meet little Aubrey. I had met her before but it was when she was just born. 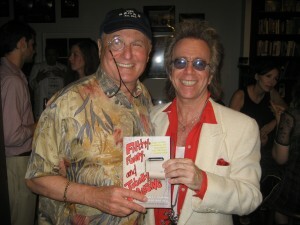 I was out in LA with my new book at the time, “Filthy, Funny, and Totally Offensive”, which was based on my writings for the famed Friars Roasts for many years, and Kent was kind enough to make me a book party at his home in the Hollywood Hills. It was a great party and Budd Friedman, the father of comedy clubs was there, as was uber-literary agent Peter Miller, and Hollywood starlet and dear friend Kali Hawk, among others. Kali, by the way, is gorgeous and talented, and will be HUGE, and I’m glad to say I know her for a loooooong time !!! Comedy Legend Budd Friedman of Improv fame at the party that Kent Emmons made for Jeffrey Gurian's book "Filthy, Funny, and Totally Offensive." 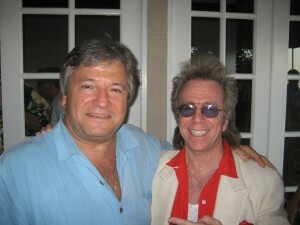 Super literary agent Peter Miller at Kent Emmon's party for Jeffrey Gurian's book "Filthy, Funny, and Totally Offensive." 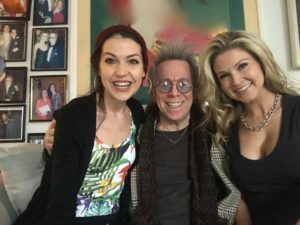 Jeffrey Gurian with the gorgeous and talented actress Kali Hawk at Kent Emmons' part for Jeffrey's book, " Filthy, Funny, and Totally Offensive" with the favorite nasty jokes of 250 celebs! This time, I got to see Aubrey all grown up! What a beautiful, happy, well-adjusted child! Her parents must be doing something right. Her personality is that of a 12 year old, but she’s so loving and adorable, and accomplished. I got to spend quite a bit of time with her, and at the time I was there, we knew she was up for the role of Lily, on Modern Family, replacing the twins Jaden and Ella Hiller, but we didn’t know she got the role yet! 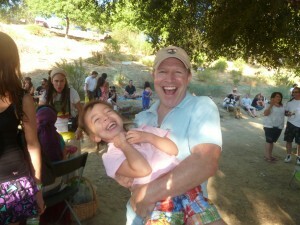 Kent Emmons and his beautiful daughter Aubrey, having the best time at a Reggae Festival! We all went all over together and we even went to a Reggae Festival with internet master Adam Gilad, because the Reggae Festival was being produced by his son Amit, who I had also met when he was just a kid! All of a sudden he has a beard, and is producing music festivals! What happened??? 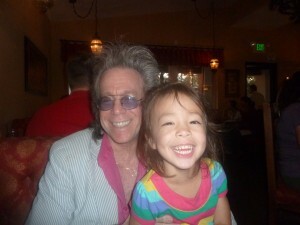 Jeffrey Gurian having a laugh with TV star Aubrey Anderson-Emmons over dinner in a Mexican restaurant! Anyway, I just got the good news from her Dad, and Aubrey was all over the trades this week. This is a cool article on her in Entertainment Weekly!